Anyone in the mood for coffee? 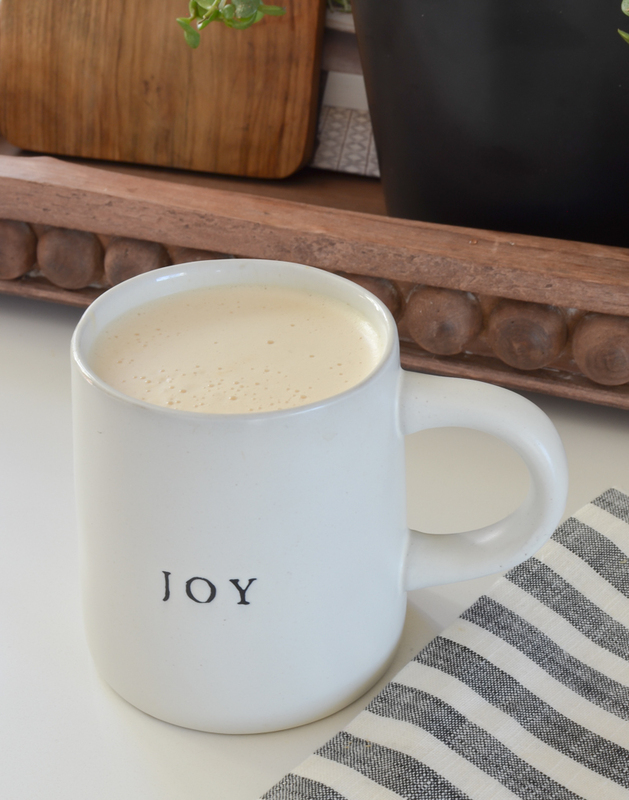 I hope so because today I’m chatting all about how I make my collagen coffee, which I’ve become 10000% obsessed with lately. I mentioned it briefly in my January favorites post, but today I thought it would be fun to share how I use it in my daily routine. There are actually two different ways I put it in my coffee, so I’m going to share both options. But first I have to say that I’m not a health professional at all. You guys obviously know this, but I feel like it needs to be said because I’m simply sharing what is working for me. I suggest doing your own research, talk to your doctor, and always do what is best for you. Okie dokie!? 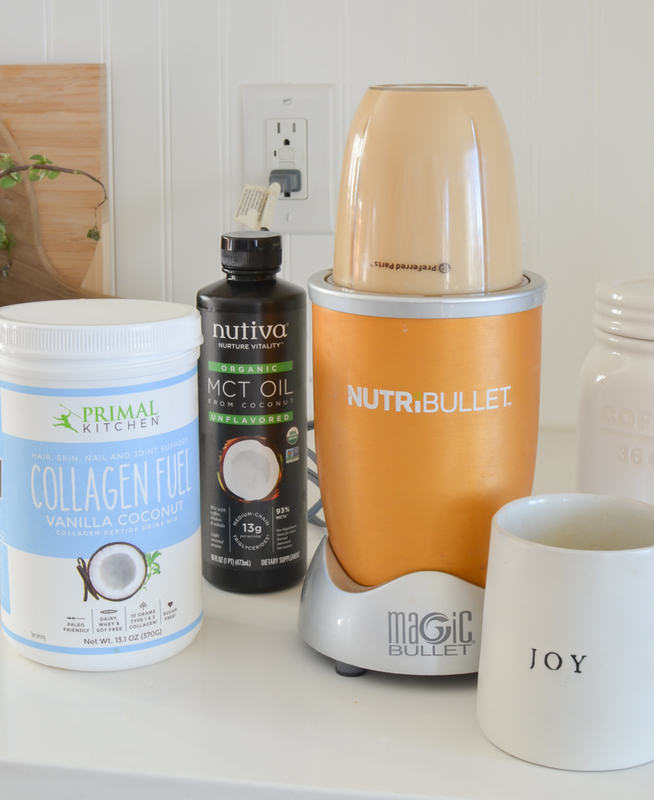 Ok good, now that all the mumbo jumbo is out of the way let’s chat about collagen coffeeeeeeeee. So I started drinking collagen every morning about a month ago and I’ve been hooked ever since. Sometimes I even drink it in the afternoon! 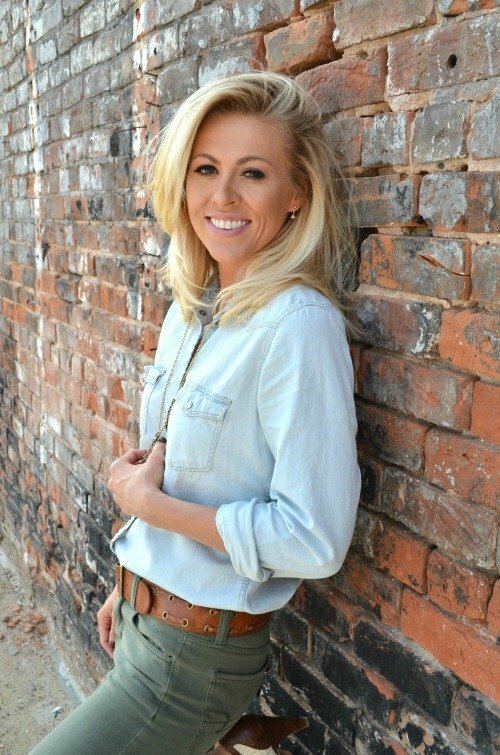 And the main reason I started using collagen was because I heard about all the amazing things it can do for your skin. Just do a little Google-ing and you’ll see that it has tons of amazing skin benefits. It helps with elasticity, increases skin moisture, and apparently even reduces wrinkles. SIGN ME UP FOR THAT. And on top of that it has lots of benefits for your bones and joints. Plus the collagen I use is loaded with protein and it’s not sweet at all. In both options I use my Magic Bullet to mix everything up. I usually blend it for about ten seconds and it turns into the creamiest coffee ever. Seriously, I enjoy drinking this more than I do a fancy latte from Starbucks–it tastes absolutely divine. 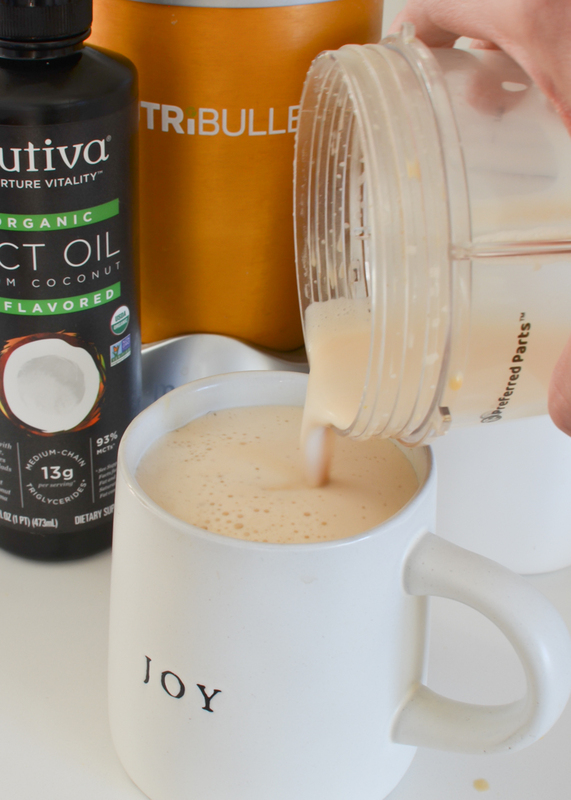 I typically do just collagen coffee most days, but if I’m not eating breakfast or feel like I need extra energy I will do the “bullet proof coffee”, which has butter and MCT oil–it’s great if you’re following more of a KETO type diet and you definitely won’t be hungry for several hours! Just looking at these photos is making me crave a cup of college coffee soooooo bad. You guys, I’m addicted. But it’s just so darn good and I am already seeing the benefits. If you haven’t tried collagen yet I highly recommend it. Just do a little research and you’ll see how great it is for you. This is the brand I’ve been using, but there are tons and tons of great options out there. I’m going to try using it in other things like smoothies and cold drinks, so I will definitely share those with you all if I come up with anything good! I know you’ve been talking about this recently and I’m so glad that you’re sharing how you make it and the benefits you’re seeing! I’m thinking about trying it! Thanks a bunch!! Question. Do you have to blend it ? You can’t just stir it in ? I probably need to do a little research but was just curious …. You can try to stir it in, but I don’t think it mixes up as well. And blending it makes it super creamy and frothy too! Ok thank you ! I really love reading your blog ! I always look forward to your posts ! It is good that you consume the collagen with fat. I read that this is necessary in order for the collagen to survive the stomach acids. Oh I didn’t realize that, thanks for sharing Terri! Actualy collagen, as a protein is not metabolized without enough acid in the stomach. Secondly collagen needs to be facilitated in the body with vitamin C.
Sarah, where do you get the Kerrygold pure Irish butter? I have not found it in my local grocery store. I get mine at my local grocery store, but if you live by a Sprouts, Whole Foods, or Vitamin Cottage they should have it! I find Kerrygold at my local Aldi…just FYI in case you have one. 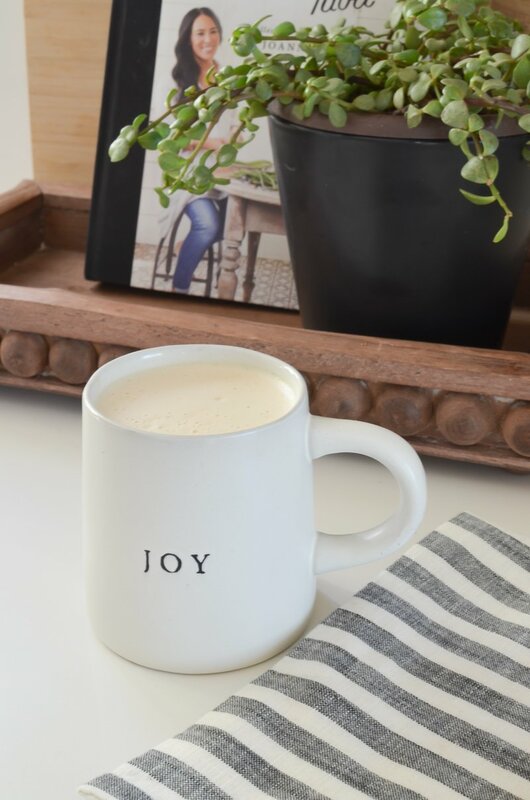 Super cute Joy mug!! Where did you get it? Just started collagen and excited to see how it works for me!! I got it from Target Amy! Hi Sarah. I’m excited to try the Primal Kitchen Collagen Fuel Protein Mix in my coffee, so went straight to Amazon to buy it. On the check out screen, it had a California Prop 65 warning. Which is a cancer, birth defect or reproductive harm warning. You typically find these on certain types of dishware or when entering hospitals or industrial areas, etc. I tried asking Amazon Q&A, but not sure why that’s listed with a warning. Maybe the packaging? Any idea? OH my goodness that’s terrible. I haven’t got that warning and I literally just ordered more this morning. Do you live in California? I thought those warnings display for everyone….The only thing I could think of is that maybe the plastic bottle. I have no idea? I’ll def be soaring it in a glass container from now on. I’m just putting the collegen in my coffee with nothing else. Do you get more benefits with the half and half. I’m a black coffee drinker and don’t use creamer. What benefits does the MCT oil have. 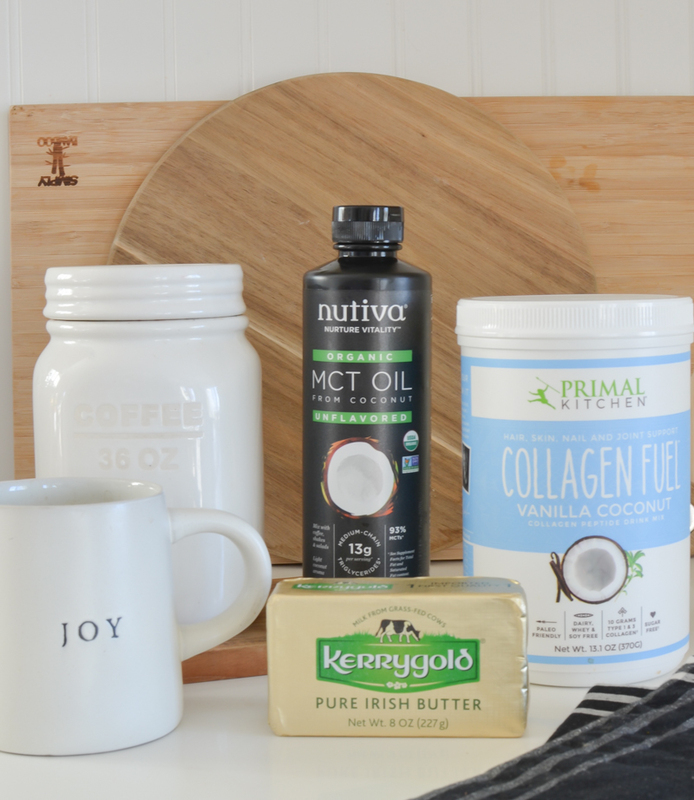 Hi Nicolette, I don’t get any benefits with the half and half, it’s just the way I like it 🙂 And the MCT oil is a great fat–so many good benefits for your body and brain. Google it, there’s a ton of great research! I’ve been drinking collagen in my coffee since 2014, I also add taurine for my heart, msm, turmeric with a pinch of black pepper and a pinch of cinnamon, and mct oil, it really is good, and I feel fantastic, I add heavy cream to it, and do intermittent fasting, I only drink a few sips of coffee before noon, but drink the rest quickly after that. Oh that’s awesome Lorna! I try to do intermittent fasting but I’m a weenie and usually cave! I’ve been using the Bulletproof coffee, collagen, and Brain Octane Oil for almost two months and I’m hooked too! So much healthier than Starbucks! Bought some of the same brand collagen at HyVee and tried it in my coffee this morning. I mixed it with my MagicBullet because I wanted the same frothy top. I was surprised at how wonderful it tasted. I’m hooked on the taste and am anxious now to feel the benefits. Thanks for sharing! Oh that’s awesome Julie. Isn’t it SO yummy?! I was surprised too. I crave it now! I just signed up for your site after reading your blog. Did you realize that Collagen supplements have been available for at least 20 years? My husband and I started to take “Calorad” around 20 years ago. It was sold by a company called Essentially Yours (it has been bought out by another company). Now that I am in my 60s, I wish I had kept it up. I’m curious what my skin would have looked if I had continued but it was so expensive back then, at least for us. It initially came out in a liquid and the instructions where to take it on an empty stomach with a full glass of water so you couldn’t eat anything for at least 3 hours before taking it. Back then, the reason for taking this collagen product was weight loss. I lost some weight but my husband lost a ton. It was made from bovine but later, because of people’s request for Kosher, this company added the fish based collagen. This company had created a Kosher kitchen addition to their company to make the fish collagen. Now there is the type 1, 2, and 3, as known now. The reason to take it on an empty stomach at bedtime was that it worked with your body’s growth hormone. It gave both of us more energy, cut our appetite a lot, which seemed to be part of the weight loss. I see Calorad on Amazon and have been tempted to order it. This company sold many other great supplements, the one known as “Agrisept”, which I also see available with Calorad. This is made from citrus and did wonders with things like the common cold. I don’t know what company bought Essentially Yours, however, their products were not available in stores and only sold in home based individuals, like Tupperware and Avon. These days, the internet has changed how items are sold. I wonder if it still works better on an empty stomach but I feel like it would be worth a try. I was prompted to let you know this info since you are a recent fan of collagen. Let me know what you think! Thank you for this recommendation. I took a chance…mostly because I’m not a coffee drinker but I decided to try anyway with my tea. HOO BOY! It is delicious. I tend to be a purist with my tea but this is a happy alternative and I’ve already noticed a difference in how my knee feels that I’ve been whining to myself about for a couple of weeks. I was skeptical but am now sold! Thank you! I am doing the THM diet/lifestyle and I wanted to get back to running but i notice i go off plan when I start running maybe bc I’m not eating enough so I cave and stuff my face so maybe I need more protein. How do u work out and diet? Do u have extra protein on the days u workout? Just wondering 🙂 if u dont have rike to reply I get it, ur a busy lady.